Finally I´ve fixed the route for Part one – the highlights for the first 600 km are found out and I´ve planned the track on http://www.bikemap.net. I´ll start in St. Brevin-les-pins next to St. Nazaire/Loire and will cycle along the wonderful coast down to Royan, passing by the Ile de Noirmoutier and the Ile de Ré to La Rochelle. In Royan I´m going to take the ferry and continue my ride along the beach to Cap Ferret exploring the Bassin d´Arcachon with its wonderful wildlife. 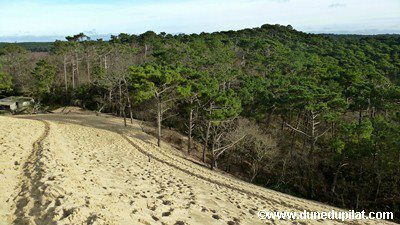 The final destination for this part will be the famous “Dune du Pilat”, where I´m going to stay on the campingsite.